Dolphin Education was established with crystal clear motive to provide quality service to students whose endeavor is to earn qualification from overseas. They have a group of experienced professionals and it is provoked by its goal of providing quality service to students who want to continue studies from abroad countries. The objective of Dolphin Education is to meet students’ need for training and international education. Dolphin has professional experience in providing training and education consultancy for abroad studies. This is an exciting opportunity to share their knowledge and experiences in an important area which is education. Their students are eager to study, Graduate, Under Graduate and Diploma courses in various countries intriguing various programs, so they have to guide them through what are the requiremewents of colleges and universities. Dolphin Education has assisted students whose dream is to acquire global education and Dolphin Education mends their career in right pathway. The main objective of Dolphin Education is to be a one-stop education centre for students going overseas. Dolphin Education firmly believes that higher education needs appropriate planning to pledge that, students choose the right academic trail. With this in mind, they assist students by giving inclusive information about study opportunities in various countries of globe. They have well qualified and trained counselors who are in service of their clients seeking for better career prospective. 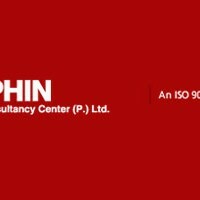 Dolphin dosen’t compromise with the quality services to its customers and stakeholders. They are in real business to provide the excellent services to the best of the people they serve. They strive to live up with their principles and practices of their organization. They are certainly different than many other organizations. Their services are unbeatable with high quality. Time is money and they provide prompt services. Clear communication to their students and stakeholders plays the key role to efficiency in their company. Unlike others, they do no promise what they can’t perform, rather they under promise and exceed in their performance.